Megachurches aren't going away. Nor should they. But we need to make room for other models, too. In recent years there’s been a lot of talk about the impending demise of the megachurch. But is the era of the megachurch really drawing to a close? Pastoral Transition: Why Change When You Don’t Have To? It’s not how we act when things stay the same that tests our strength and character, it’s how we act when things change. Yesterday, I was back in my home church after being gone for a month doing conferences and taking some vacation time with my wife, Shelley. The word "Easter" is commonly believed to have pagan roots, but many scholars are making some strong arguments that this may not be so. Wouldn’t it be great if Easter wasn’t called Easter? If everyone knew it as Resurrection Sunday instead? When we equip the saints, the church’s impact can grow exponentially, even if its numerical or geographical footprint doesn’t grow noticeably. Small churches can have a big impact. Especially today, with the power of social media and other new ways of communicating. Effective churches don’t let their challenges become excuses. Excuses are the enemy of effective ministry. Why Is It So Hard To Find Help To Pastor A Small Church Well? Scrambling for morsels of truth about healthy small churches can make you feel like a pig digging for truffles. No one is hiding anything from you. 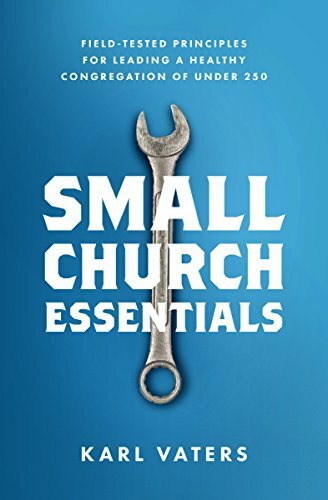 Small Church Essentials Is Here! It’s not about wanting churches to be small; it’s about wanting small churches to be great. You can now buy your copy of my new book, Small Church Essentials, for yourself or for a church leader you know. When it comes to church growth and health, we need to lower the volume and listen with both discernment and faith. The vast majority of the leaders in the church growth movement are good, godly, passionate people who truly want to advance Christ’s kingdom and be a blessing to other churches.